If you strip/brighten now, you will need to redo in the Spring with a cleaner and brightener. I plan on using this product in the spring. I have a year old deck stained with SW Superdeck. Have had lots of mold and mildew due to rain, humidity and aphid droppings from the trees. Have power washed x2 in a month and have power washed some of the stain off since I knew I would be stripping it anyway. When I get ready to start this project, can I skip the cleaning and just start with the stripping step? 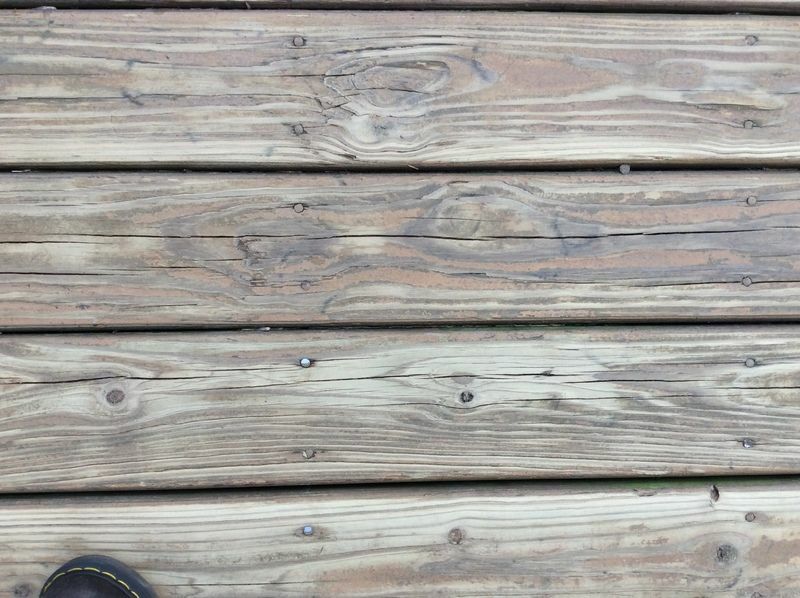 It's a treated yellow pine deck. You do not need a cleaner if using the stripper. Apply stripper and pressure wash off. Rinse and apply the brightener. Rinse that well after about 15 minutes. Great to know! Thank you very much!!! Have 1000 ft2 22-year old PT deck. 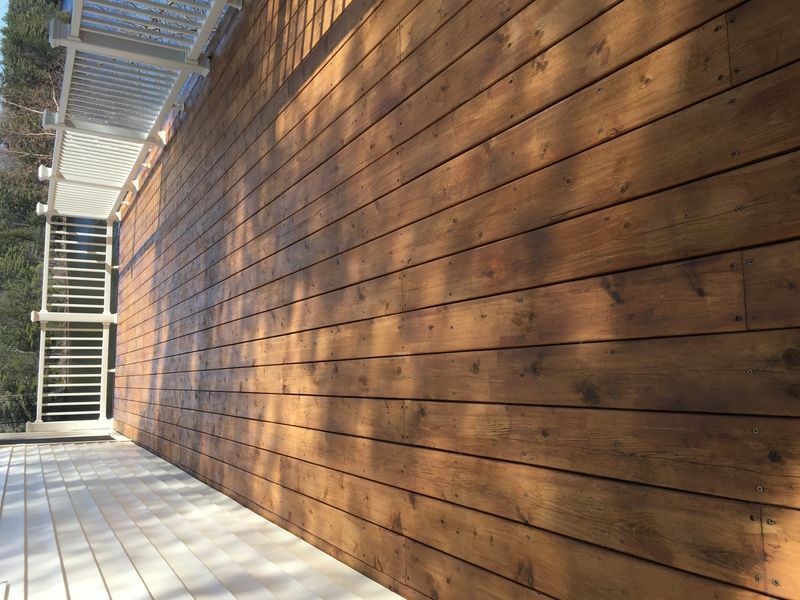 Was RAD prepped and stained with Armstrong Clark semi transparent dark brown stain in 2015. 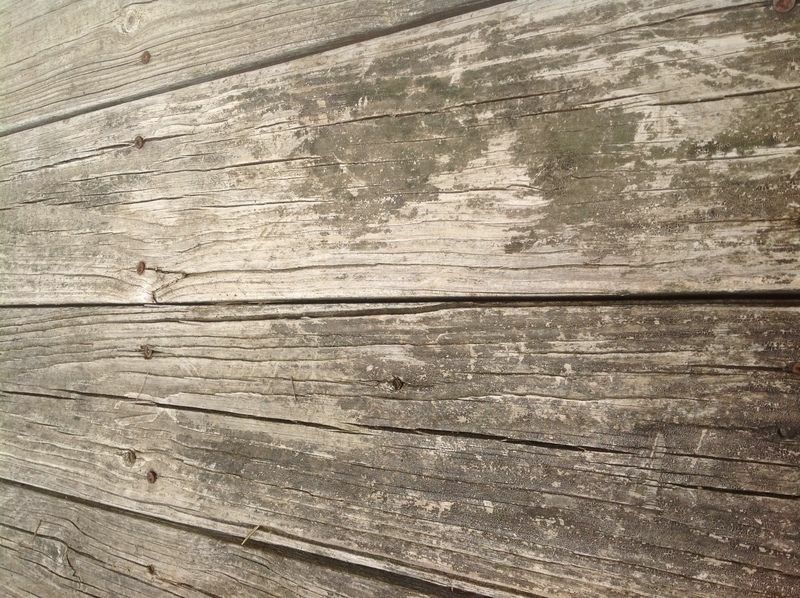 Couldn't retreat with RAD 1 and 2 plus same stain as shady end of deck was heavy with green mold and mildew. So, decided to strip, brighten and stain all with RAD (light walnut). Have stripped all and brightened just a couple hundred ft2. Periodic rain is going to delay staining a bit. Wood is still fairly wet, which acounts for some of the darkness variation iin pics. Have seen references to "furring" in your replies. Is this what pictures of the more open grain are showing and should I sand those boards with 60-80 grit? Would that be sand, rinse and brighten? Also, would light use of an orbital sander be OK or should I stick with a sanding block? IF you can reply quickly I'd be very greateful. Sand rinse and brighten. 60-80 grit. Floor buffers work the best. I would not suggest an orbital hand sander. I live in Georgia and saw the reviews online for your products. Could you please a picture of the current condition. Sent under 3 emails from phone. The stripper should remove the stain but you will need to use a pressure washer after applying it and you may need to strip the verticals a couple of times to remove. Brighten after the stripper. Do I have to follow with the brightener if the wood is fairly new, or will water neutralize it? Yes, you have to neutralize with the brightener. Yikes! OK, so I stripped yesterday, but don't have the brightener. Will it destroy the wood if I don't neutralize? Is there some other neutralizer I can use that I can purchase locally (I'm assuming your brightener won't get here fast enough)? Or is it OK to wait a week or so? Best to neutralize as soon as possible the same day as stripping to lessen the chance of "furring" but since it has already dried, it will not matter if it waits a week. Our brand will work the best for this. After I applied the stripper and brightener to my deck and power-washed, a lot of the blown off old stain got stuck to the walls. I power-washed the walls but brownish marks are left behind. These marks are like the sticky substance left behind by scotch tapes. How do I get rid of them? They are noticeable and ugly looking. Try a water-based graffiti remover cleaner from your local hardware store. I have a huge tigerwood deck. It has crd sikkens stain on it. I have got everything off the railings with is stripper. I am having some trouble getting the stain off the floor. There are someboards where it is not coming completely out and when I scrub more it causes some maeks. see the picture. 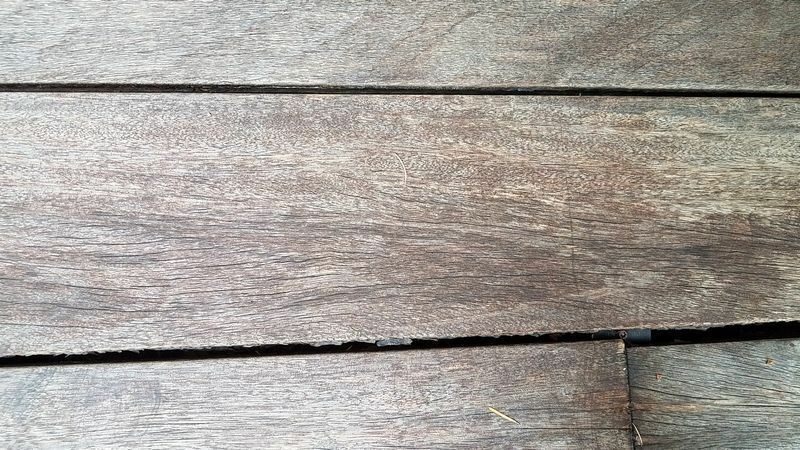 Will these mark show up when stain with restore a deck natural? Should I leave the stain that will not come off? I dont want to damage the boards. Or should I just sand the floor? Are you pressure washing after applying the stripper? Make sure that you brighten the wood after all the stripping is done. Try to remove as much as possible. It seems that most is removed in the picture. The brightener should help as well to even out the appearance some. I am power washing and brightening while it is still wet. It is different boards which the stain remains. The stain will just not come off these particular boards even with scrubbing. I will send a picture of the board. Here are the photos. It tends to be the weaker boards thathat it wont come out of. That is why I am wondering if I should sand the floor instead because I dont want to damage the boards. You could try the sanding. What level of grit would you reccomend since most of the floor is stripped? Sand, vacuum, wash, brighten and then stain and in that order? I may just stain the floor this year since most is removed and sand the floor next year if I have issues with uneven fading as the railings have been completely stripped and those should not need to be sanded. 60-80 grit paper. Sand, lightly wash and then brighten for the final prep. Couple question about using this on wood fence. First, May I use it on to wood fence? Second, fence is vertical stand so I think it will be flow down when I spray on. Does it still work as this condition? Three month follow up. I was very skeptical using a water based stain. My friend, an executive from SW, was talking trash about doing so. I’ve been using TWP, and the cedar tone turns blackish every year. Plus it’s a pain to apply, and you need 3 dry days in a row. I stripped my deck and posted the finished photo in April. I’m posting it again today. Here’s my April work timeline. I pulled the pressure washer out of the shed at 10 am. Stripped and neutralized twice each to get to bare wood. Was a warm day, southerly exposure. I let the deck dry 90 minutes. Then stained it. Walked on the deck at 3PM same day. Full southern exposure, deck take a heat beating. Still looks like identical to April application. Rained all night so I’m posting the water bead up at 4 months! I’ll follow up April 2019. Move over oil stain, there’s a new sherif in town! You will be fine to leave as is until the Fall. 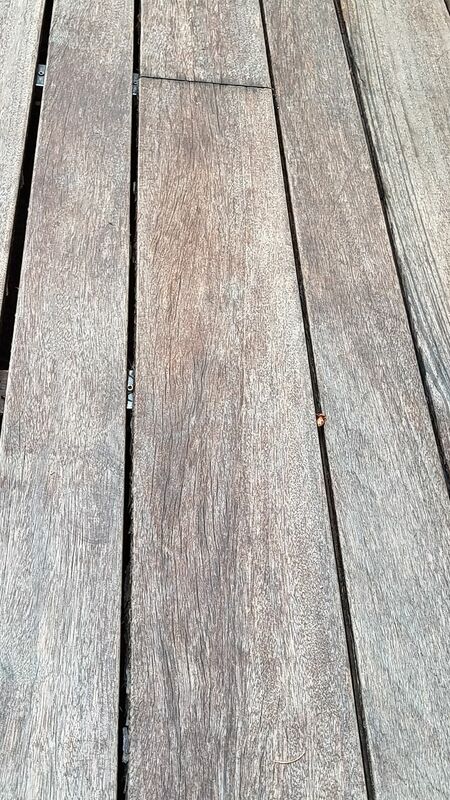 We just paid $$$ to have our large deck stained with SW Superdeck semi-solid Charwood. It is beyond horrible. Way to dark, uneven, sprayer and roller marks and blotches/missed spots everywhere. Will this take it back to where it can be restrained with a different product? Or will anything help? You sure it is semi-solid and not semi-transparent? 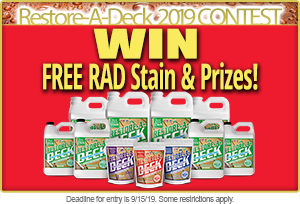 Please post a picture of the deck and the can of stain. I plan to use Restore A Deck stripper and brightener before staining the following week. Can I strip and brighten if it will rain later in the day? If so how long do I need to allow before rain is expected? Will the stain stripper affect the paint on the side of my house? Will I have to cover up the walls next to my deck when applying the stripper? It will not strip paint unless the paint is already peeling. 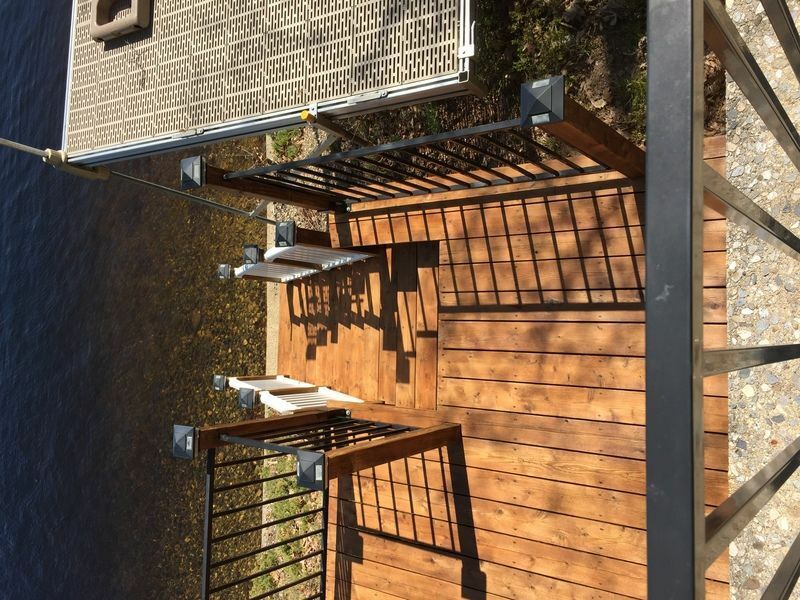 I have metal spindles on my deck railing but the columns and frame are wood. Is this corrosive to the metal? Depends on the type/brand of spindles you have and if coated or not. Usually not an issue, but best to test first. Thanks for the quick response. What would the proper way to test it entail? Just dab some on an inconspicuous spot and see what happens? I have some left over from a project last year. Another question. 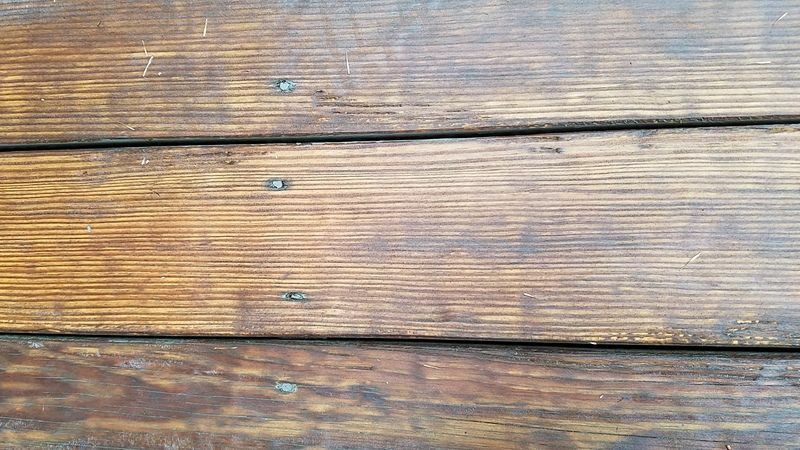 For a 25 year old-ish deck that's been stained....after we get it stripped and perhaps sanded...do we have to stain it? Is there a way to keep it looking nice with just a yearly spray of brightener or something? Some power-washing? This whole thing of sanding a 450 sq. foot deck and lots of railings is making my head hurt! It will need to be stained to keep it looking good. Do we have to go through all the sanding if we do the same stain every 2 years? Can we just power wash and/or clean? If using one of our brands, then you can just clean and reapply as needed. 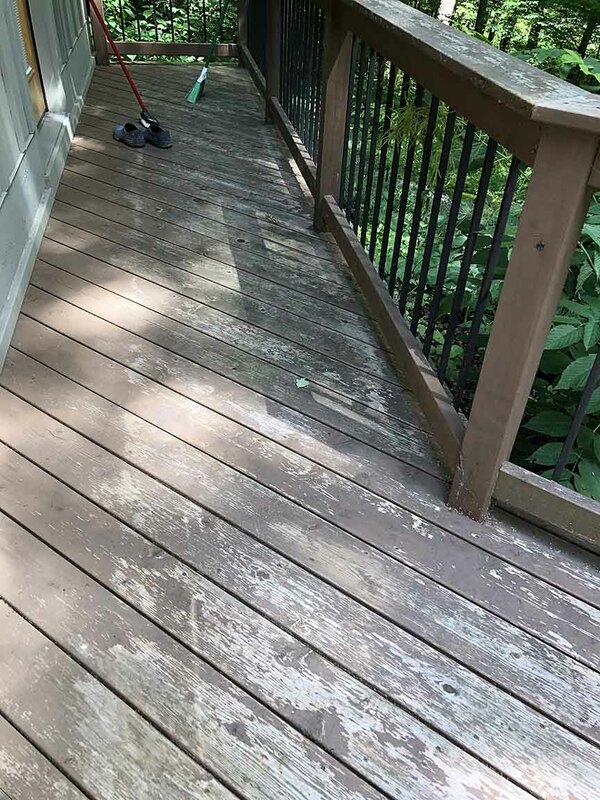 I power washed the deck yesterday and it had 6 year old Behr solid deck stain on it (it peeled and looked awful after a year, but we're finally getting around to doing our deck again). My husband said to use a stripper first, then a belt sander (we'd have to buy), then brightener. Is that the right order? Even more important, can we skip the sanding? Will your stripper take it all off? 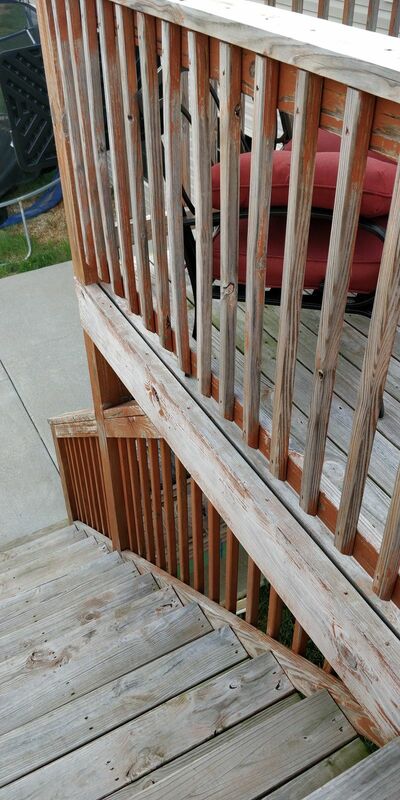 We have 450 sq feet of deck, plus railings (OMG the sanding of that! yikes!). 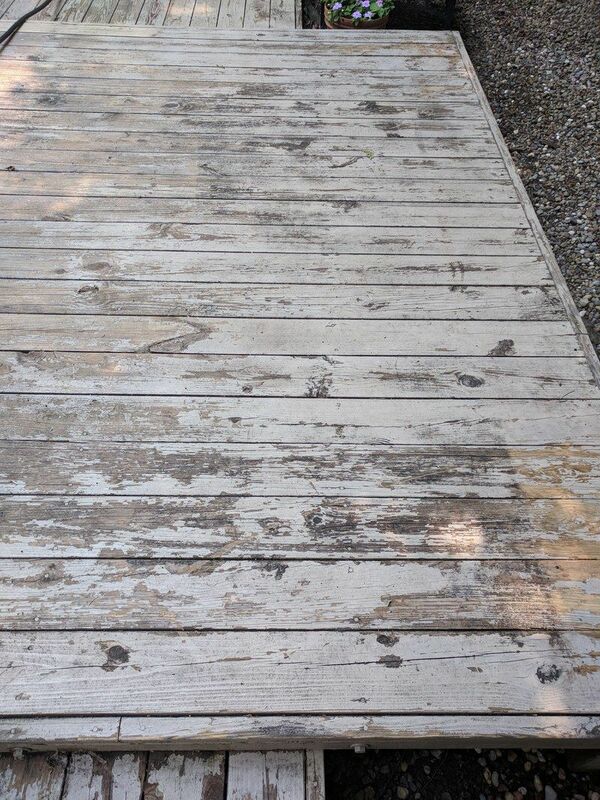 I've attached photos of some of the slabs of deck and what it looks like after power washing. A stain stripper will not remove a solid stain fully. It will remove some but you will have to power sand to get it fully removed. For this type of situation, would it be better to just sand off the stain first, then use the cleaner and brightener? Or use the stripper, then sand, then brightener? 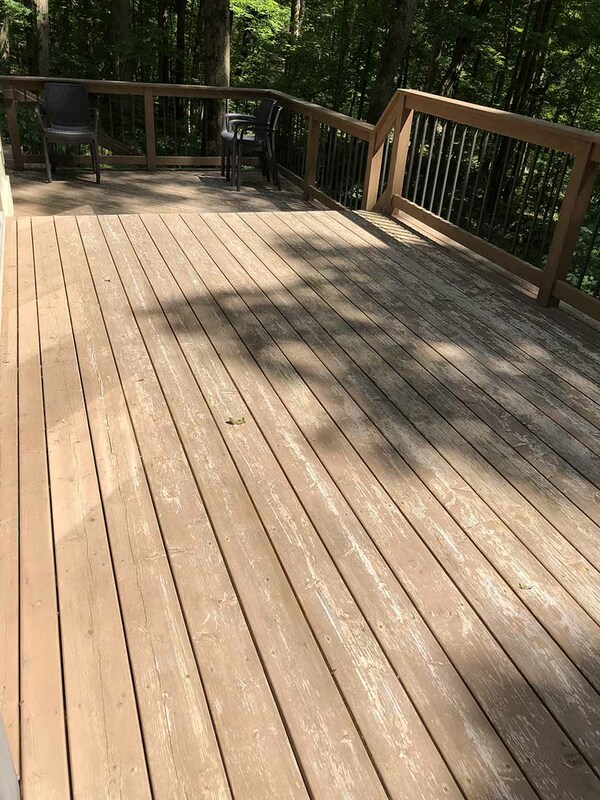 My deck looks similar to these pictures, but I'm not sure what type of stain the prior owners used or how long ago it was applied. Sand the rest and then clean and brighten for final prep. Olympic Max Deep clean only absorbed into my 15 year old deck - see photo. It had semi transparent grey stain at one point. How/which of your prep products should I use? Use the RAD Stripper with pressure washing and then the brightener. I've just used the Behr deck stripper product and it really didn't touch the Behr paint on my deck, even after two coatings. Your product looks as though it is much more effective, but I have two young children and I can't see what the active ingredients are. I'm trying to avoid products that contain methylene chloride and n-methyl-pyrrolidone (I think these are the ones Lowes is phasing out). Can you confirm that these aren't active ingredients? 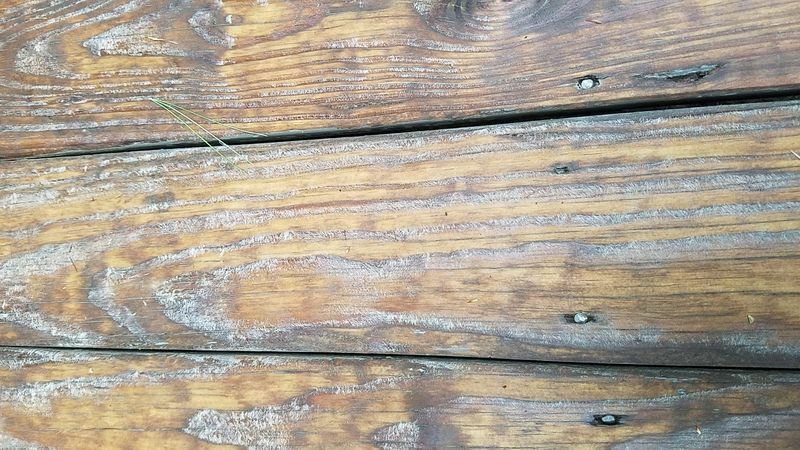 A deck stain stripper will not remove a solid color "paint". Not possible and we do state this in our description. 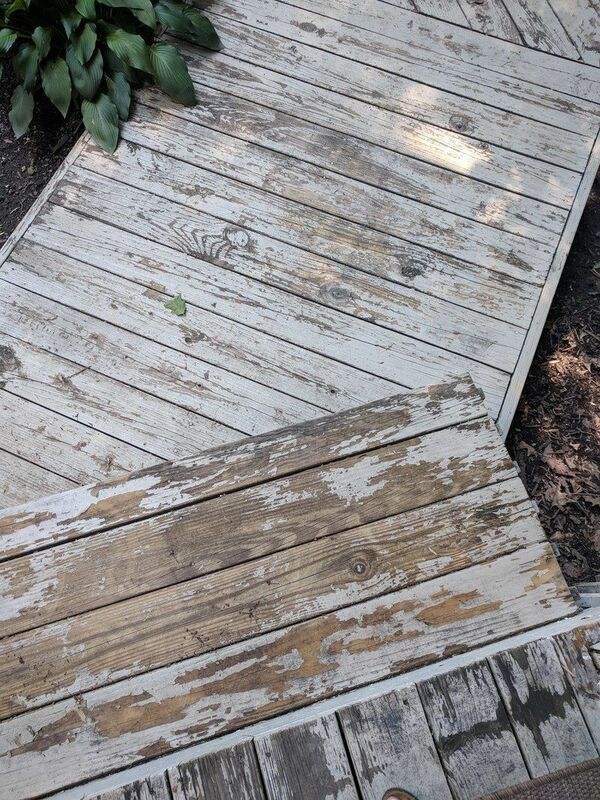 We applied Cabot Semi Solid Stain to deck 4 years ago.Big mistake as it began to come off immediately on horizontal surfaces (it's fine on vertical). Will your stain remover work on getting this product off before we use a Semi Transparent stain next time? I just tried hand sanding a small area and the stain comes off quite easily. You can see where the rain and sun don't hit, the stain has remained OK. It should remove most of the Cabot. And then sand the rest? Will this remove Wolman Raincoat Tinted (Natural Cedar) Water Repellant Finish (Water Base)? Power sanded (12x18 vibrating) older PTP deck with SW acrylic semi-trans stain. Most came up with 36 followed with 60 grit paper but there are still spots that didn't. 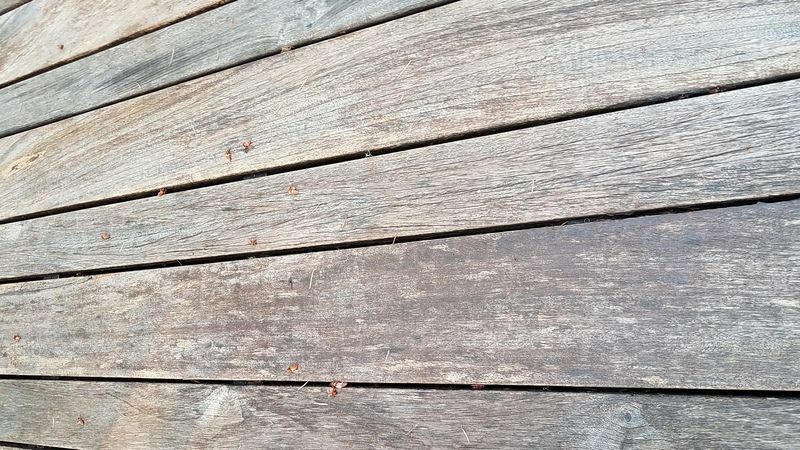 I'm afraid of these becoming ugly shiny blotches when following with RAD stain, so will the RAD stripper remove these spots without blotching surrounding wood that is "clean"? Spot sanding is another option but as I still need to strip verticals I thought I spot treating with the stripper may work without taking more material off as long as it won't create problems with the surrounding "clean" wood. Will brighten everything with RAD brightener once verticals are stripped. Might be best to just sand them off so it is evenly sanded when done. I would agree...but my 60 year old back & knees might take a little more convincing! 600sf PTP deck is 20 years old, so this is probably the last restoration before I replace. 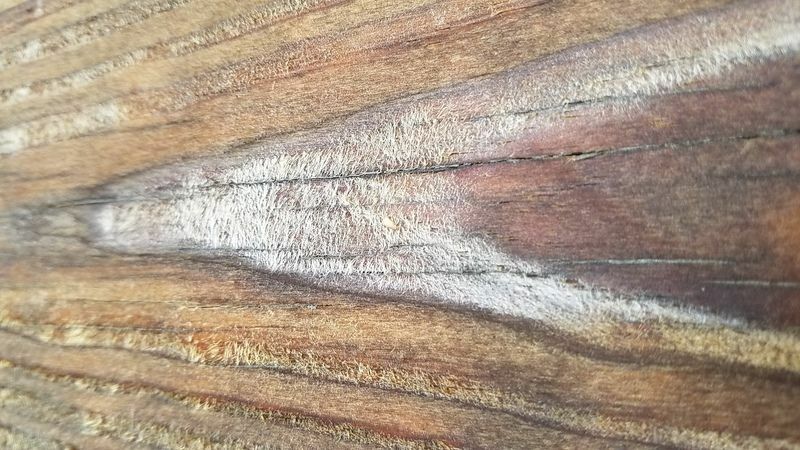 Can you tell me if stripper will affect surrounding “clean” wood in a negative way? I’m not so worried about getting everything even as old PTP is far from even at this point. Photo attached. No issues but best to strip and brighten all the wood. 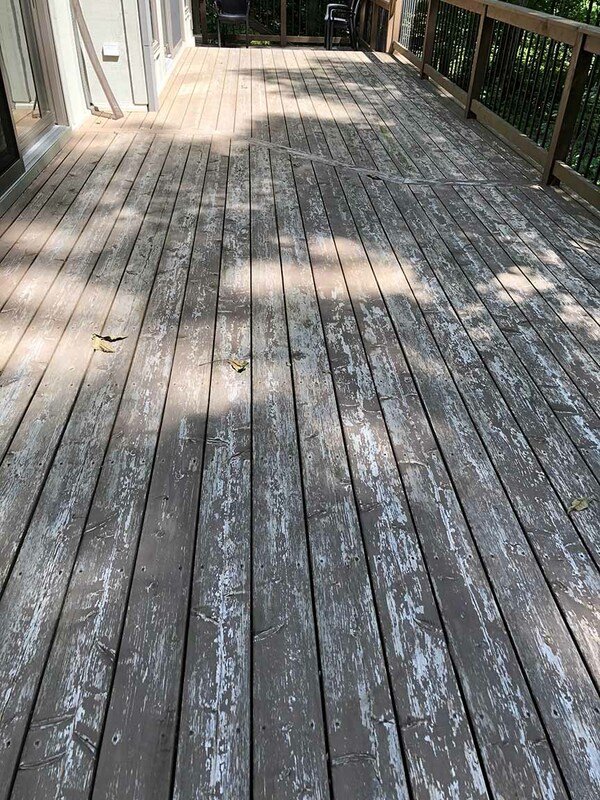 Will this remove Rustoleum deck restore from a deck? Sorry, but no. The only way to remove this product is to sand it off. Will this strip off Thompson's Water Seal? Yipee, just ordered then. That Thompson paraffin coating is hellish and looks black and nasty after only a year. Hello. 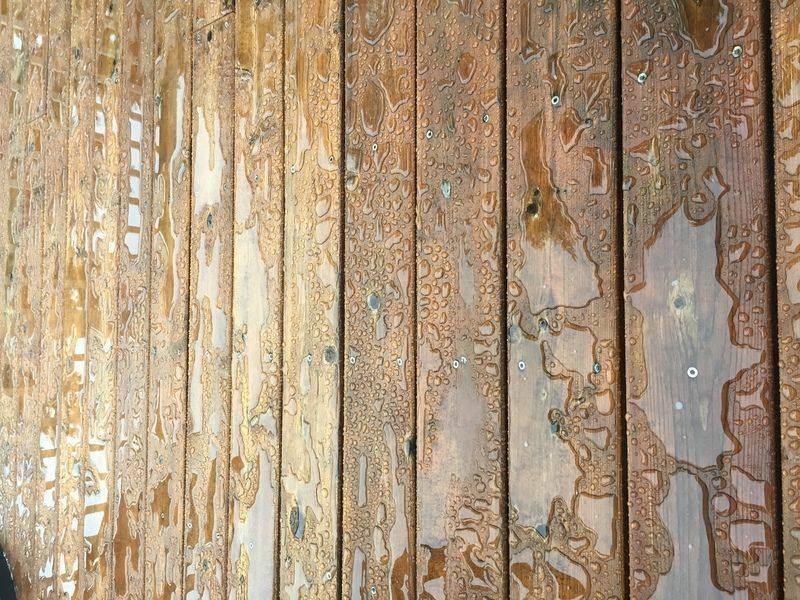 about 3 summers ago, I stained our deck with semi-transparent Thompson's water proofing stain. It didn't take long for it to start looking bad (not sure if it was a bad application or bad product). I've used another deck stripper and sanding with decent results. Would your deck stripper have better results? Especially between the slats where sanding doesn't work well? Thank You! Hard to say. Looks very "thick" on the spots. Almost as if the stain is a solid color and the RAD will not remove a solid color stain. I think it's just cause I went over it too heavy originally. Hoping your product will help, even if it takes a few cycles. Can I stain over any stubborn spots with your dark stain after I brighten? You cannot apply the RAD stain over the Thompsons. Try to remove 95% or more.